Applications are invited from suitably qualified candidates for admission into the Covenant University postgraduate programmes leading to the award of Masters and Ph.D degrees for the 2018/2019 academic session. International candidates who may be applying for any of the programme would have their screening examinations conducted on-line. 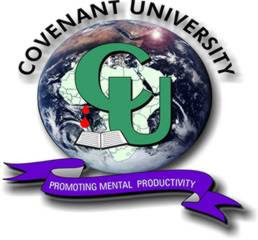 Such candidates are expected to forward their intention (interest) by email to the Dean, School of Postgraduate Studies on this link: deansps@covenantuniversity.edu.ng to include their Skype ID phone number and time/date of choice.